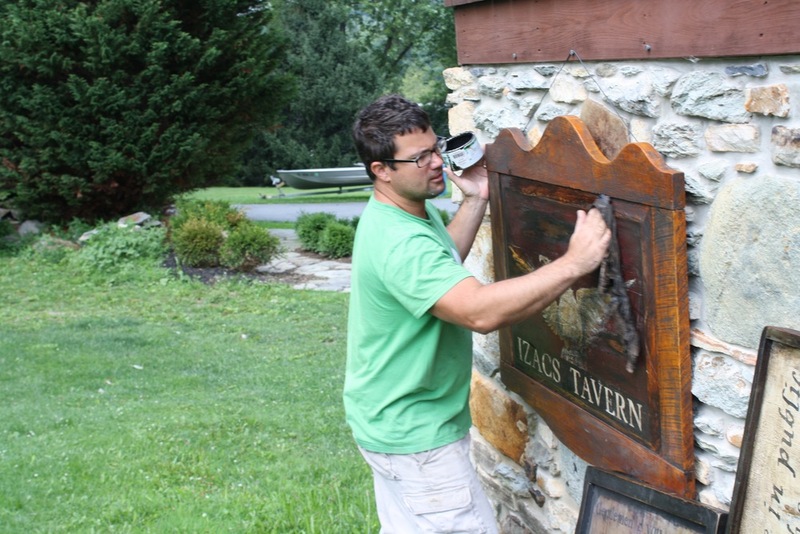 A blog about hand-painted, vintage, antique reproduction tavern & trade signs. Welcome to my vintage 'Sign Blog'. Look for weekly posts on a variety of subjects - ranging from mini historical tidbits to sneak peaks into aspects of my creative process. Everyone is encouraged to subscribe, comment and share. Thank you! Thanks in advance for your loyal support. Please feel free to like, follow or comment to the content on my website. I just recently merged my new design with my original web address, and want to be sure I'm still reaching my target audience. In effort to learn more about the number of visitors reaching my site, any marks you can make here will go a long way for me. Feel free to indicate your general location (where you live) and interests. A greater understanding of my audience is crucial for me as a business man / artisan and I will listen intently to any feedback you are able to make. It is greatly appreciated. Welcome to my blog! I will update this page by adding posts from time to time. Please feel free to comment and request any specific content you would like to see featured. I view the purpose of this blog as serving the needs and desires of my viewership.